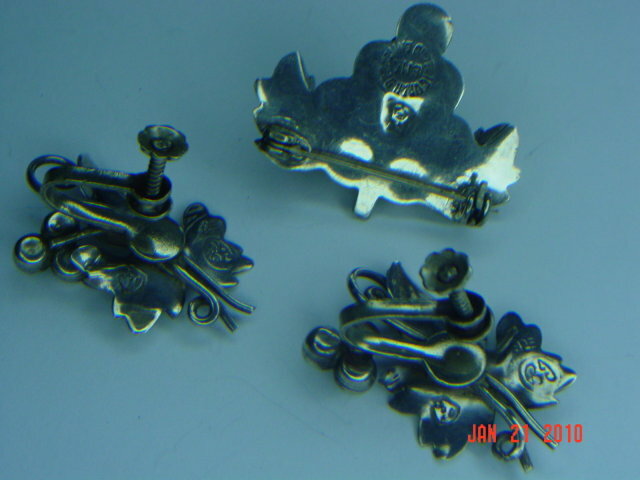 Vintage sterling silver grape clusters & leaves brooch and screwback earrings set made in Mexico. 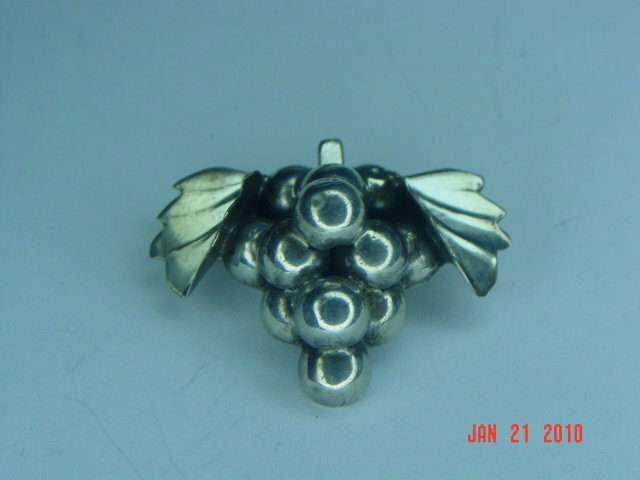 The brooch has a cluster of 12 grapes with a leaf on each side. There is a circular mark on the back that says "Hecho en Mexico 925" and another word I cannot make out. There is another stamped symbol with what looks like the letter "z" in it. 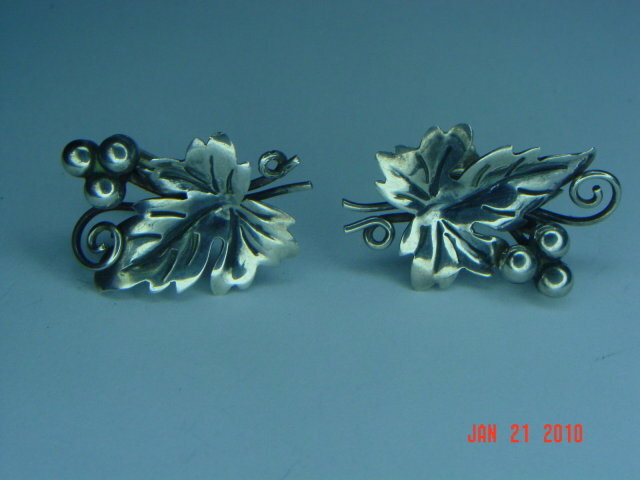 The screwback earrings each have a large leaf with a cluster of 3 grapes. The backs are marked 925, a circle with the letters B and J in script in the middle, and another stamped symbol with the letter 3 inside. 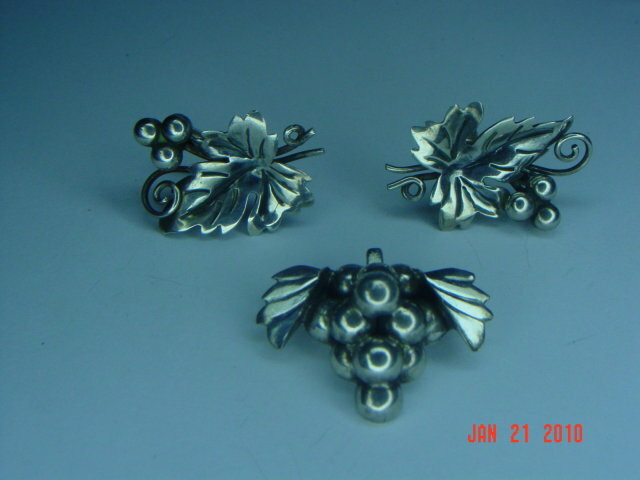 Items Similar To "Vintage Mexico Sterling Silver Grape Cluster Brooch & Screwback E..."